This limited edition is designed and created in association with reknown Tahitian sculptor and artist Heremoana. With colors ranging from deep violet to bright green, the designers skillfully carved a fine piece of mother-of- pearl to showcase the colors of life in a typically Mexican symbol of death. 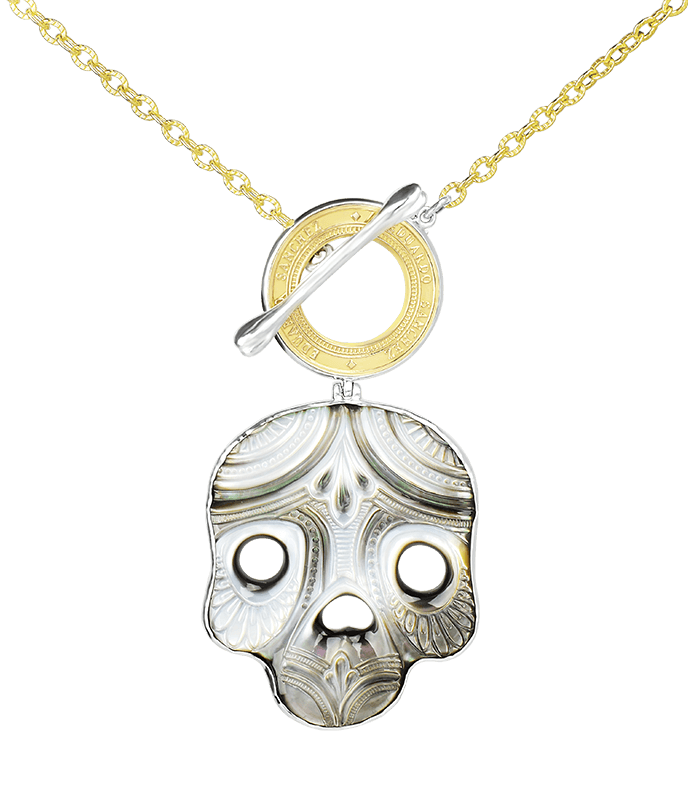 The Calavera necklace is a subtle reminder that what makes all things beautiful in life is that they die. Carpe Diem indeed.